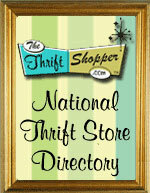 At ThriftStoreWebsites.Com we understand the need for internet and website security. Your security is OUR personal oath to YOU. We will never compromise and/or risk your personal information or that of any of your website visitors. That is our promise to you..